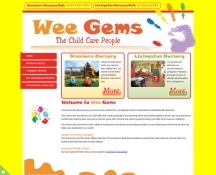 Brand New Website launched in November 2012 for Wee Gems Nursery in Broxburn and Livingston. A Custom Designed Website with Content Management, Website Gallery and Google Analytics. 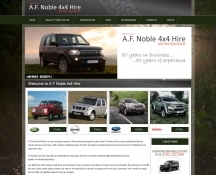 Brand New Website launched in October 2012 for A F Noble 4x4 Hire in Penicuik, Midlothian. Custom Designed Website with Rental Vehicle Management, Website Hosting and Google Analytics. 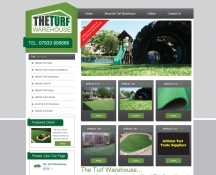 Brand New Website launched in October 2012 for The Turf Warehouse in West Lothian. Custom Designed Website with Image Gallery, Website Hosting, Social Media and Google Analytics. 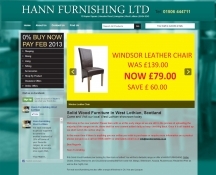 New website launched for Hann Furnishing, Livingston, West Lothian in October 2012. Custom Designed Website with Content Management, online shop, Social Media and Website Hosting. 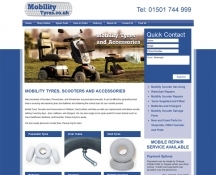 Brand New Website launched in July 2012 for Mobility Tyres in West Lothian. Custom Designed Ecommerce Website with Content Management, Product Management and Google Analytics.